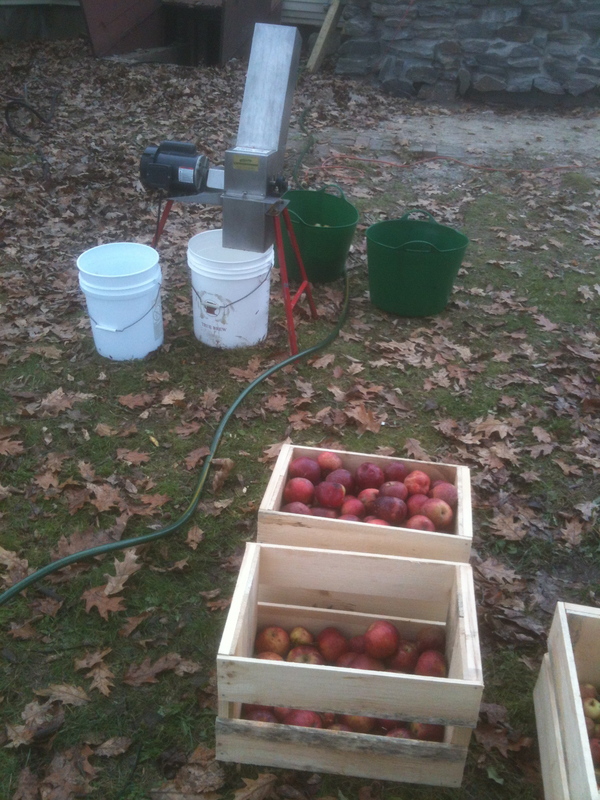 Apples are a staple of New England and I took this afternoon off from the house project to press apples for cider. At my day job, I tend an orchard of 100-year old apple trees, a mixture of Cortland, Macintosh, Golden Delicious and some unidentified astringent varieties. While not good for eating, the astringent are excellent in cider, adding a complexity to the flavor. 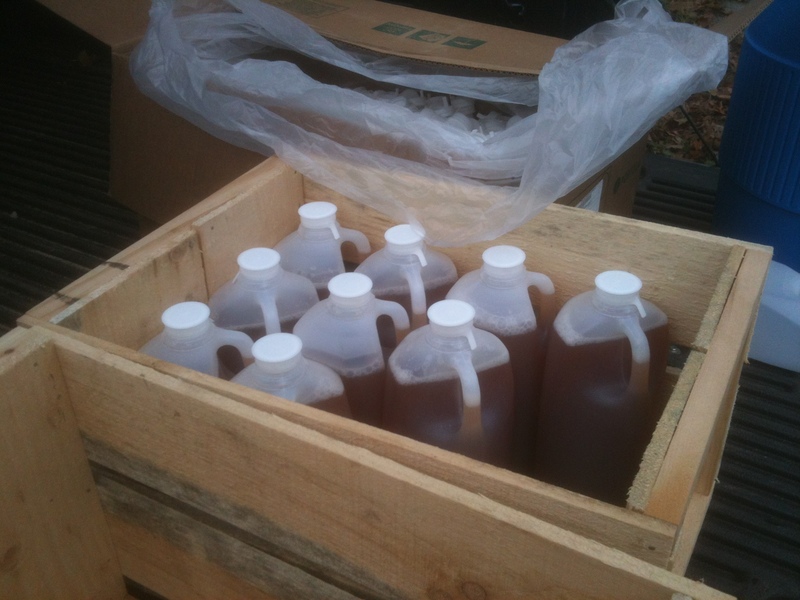 I pressed the apples over at my friend David Buchanan’s farm in Pownal Maine. David has recently had a book ‘TASTE Memory: Forgotten Foods, Lost Flavors, and Why They Matter” published by Chelsea Green Publishing in Vermont. David is a serious cider enthusiast and has a first-rate operation. The first step is grinding the apples. In the photo below you can see the drop shoot, motor and receiving bucket of the grinder. The mash is then placed into the water press. The press has a water bladder in the center of a round metal colander. The apple mash goes inside the colander and the valve is opened, filling the bladder with water. The pressure forces the apples against the metal colander, crushing them and extracting the juice. 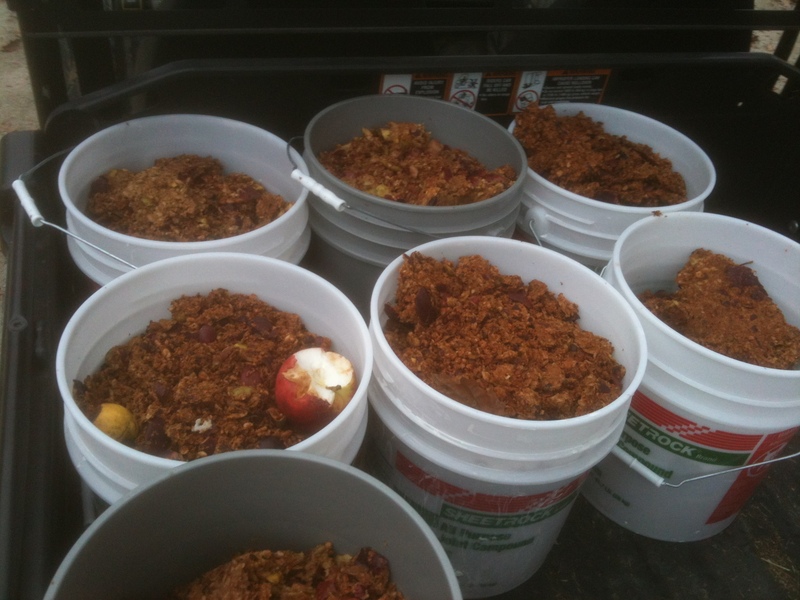 The pomace – the mass left over after the juice has been extracted – was cleaned out and scattered in the woods for the deer. Nothing was wasted. 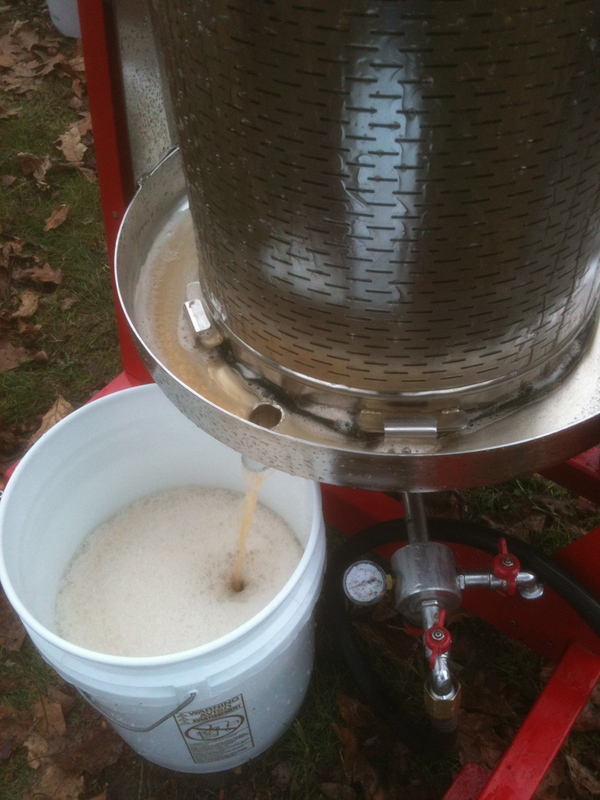 We pressed 8 bushels and got 18+ gallons of juice. It is absolutely delicious! so so fine, the life you live. extraordinary. not sure why but the phrase, “life as prayer,” pops into my head…. Amen to the “delicious”!!! Baby started kicking seconds after I drank some!!!! !